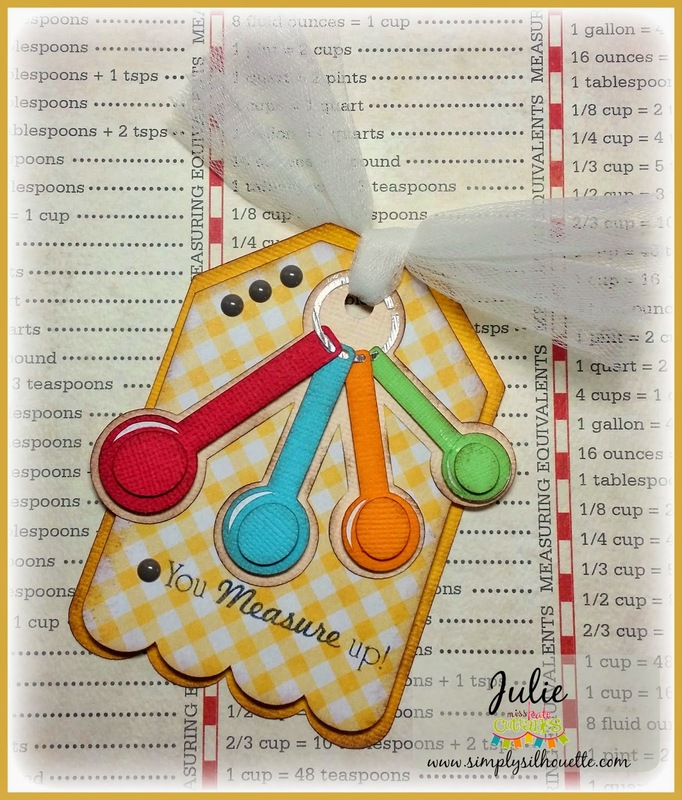 Simply Silhouette: You Measure Up! the Miss Kate Cuttables "I Love to Bake" file. "A Pinch & A Dash"
Love this tag! Great way to show it off by putting it on recipe paper. This pis the cutest project ever! I Am definitely getting that baking file! Love it! OMG You really REALLY did one outstanding creative job. I really and truly thought the measuring spoons were real....I so can't believe you cut them out! WOW You definitely outdid yourself and are ever so clever. Your Project totally rocks!! GIRL YOU so ROCK! !